hello naomi never disappoints. (I know I'm slightly obsessed). 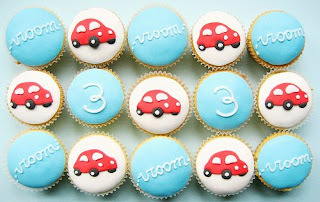 I am in awe of those little "Vroom" cupcakes. HOW do they get them all the same?? ?